Kate Hudson is apparently hoping to join the band of actresses who have released albums, because she feels the need to put her music "out there". Selena Gomez has reportedly signed a deal with Live Nation which will see her go on a world tour in support of her next album. Lorde kicked up a bit of drama in a recent interview with "The Guardian." The singer was breaking down the challenges of being friends with someone like the super famous Taylor Swift when the New Zealand native reportedly made an unfortunate comparison. "It's like having a friend with very specific allergies," Lorde said. "There are certain places you can't go together. Certain things you can't do. There are these different sets of considerations within the friendship. Is there anything Kate Hudson can't do? The Deepwater Horizon actress revealed Tuesday that in addition to making movies and designing an athleisure collection, she plans to make an album. Hudson has music in her blood, thanks to her father, singer Bill Hudson (from whom she's estranged), and her mother, dancer-turned-actress Goldie Hawn. And Kate—who broke out in 2000's Almost Famous—even welcomed two sons of her own with rockers: the Black Crowes' Chris Robinson and Muse's Matthew Bellamy. 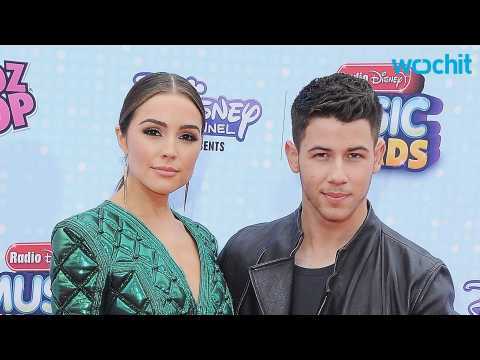 Though Nick Jonas has been recently making headlines for his rumored relationship with actress Kate Hudson, his upcoming album, titled Last Year Was Complicated, will focus on his 2015 breakup with former Miss USA Olivia Culpo, who he previously dated for over two years. Jonas explained to Out Magazine about his album, "With this one I made a real point to tell stories as honestly as I could." The 'Levels' singer then added, "It became very clear what it was going to be about, after the breakup. Kate Hudson is on a promotional tour for her new film the “The Reluctant Fundamentalist” which just premiered at the Tribeca Film Festival. Ryan Lochte and Donovan McNabb came to play in a celebrity kickball game in Times Square. Michael Buble was out signing his new CD “To Be Loved”, while out in L.A. Mischa Barton kicked off Brit Week.